Originally designed for bomber escorts, the P-51D was put to better use as a fighter jet thanks to its amazing power to weight ratio. 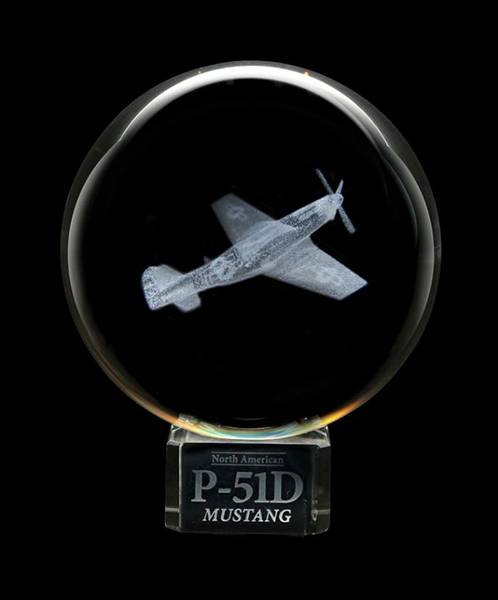 Not only is it fast, but during takeoff the iconic P-51D reaches an impressive 1490 miles! Pair this laser-etched sphere with our PWL8 light base to create the illusion of flight. Each sphere includes a crystal stand and gift box.